Santa Barbara is located on the South Central Coast of California, facing the Pacific Ocean, some 90 miles North of Los Angeles and 330 miles south of San Francisco. The city lies in a moderate coastal valley, surrounded by green foothills and rolling surf. The elevation ranges from sea level to 850 feet within the city limits. The city occupies 23 square miles in the county, including the Channel Islands located 36 miles off of the coast. Santa Barbara is reminiscent of a Spanish town and is known for its exceptional beauty, temperate climate and active community involvement. 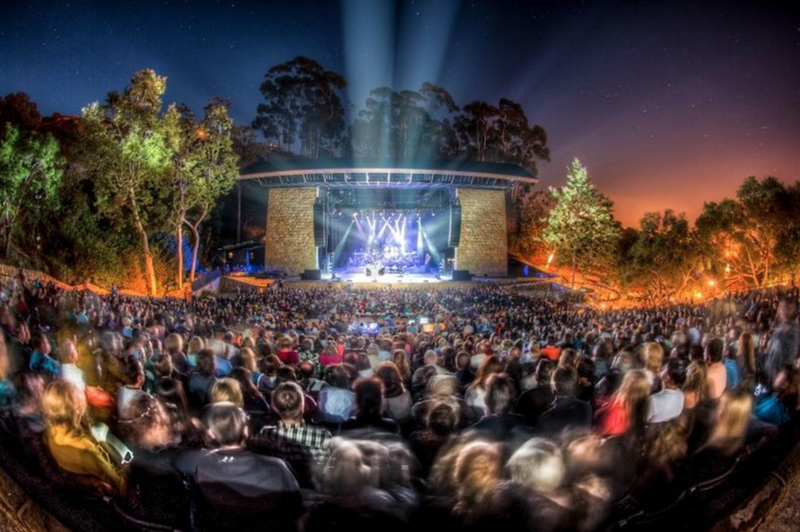 Santa Barbara retains the feel of a small town while having many of the amenities of a metropolis. Red tiled roofs abound, perpetually blooming flora color the city, and miles of gorgeous south facing beaches provide a natural playground for locals and visitors all year round. These are some of the reasons that people consider Santa Barbara to be one of the most desirable places to live in the world. Mesa, a Spanish word meaning “table”, describes the southwestern bluff located above the Pacific Ocean and downtown Santa Barbara. City weather records show that the Mesa’s winter temperatures are 10 to 12 degrees warmer in the winter than downtown, and 10 to 12 degrees cooler in the summer. This climatic attraction, plus the spectacular marine views, caused a housing boom after World War II. Today, the Mesa is a mix between modest single-family homes and modern two story ocean view homes that tend to be occupied by college students, devoted surfers to young families and retired tried and true Santa Barbarans. Whether running at the beach, flying kites at Shoreline Park, walking down to Nite Moves in the summer, walking with your dogs at the Wilcox Property/Douglas Family Preserve or Hendry’s Beach or simply enjoying the sunset, the Mesa has many areas that are well suited to enjoying nature and sums up the Santa Barbara lifestyle perfectly! The Westside is known as Santa Barbara’s first suburb and is known for its simple, traditional single-family homes. City Hall records state that 6 out of 10 homes were built prior to 1960. Bounded by State Street to the North, Las Positas Road to the West and the Mesa to the South/Southeast the Westside today also includes the areas around Cottage hospital and Oak Park. The term Upper Westside is applied when referring to houses built on the hills below the Mesa. Downtown living in beautiful Santa Barbara is considered to be a luxury by many. 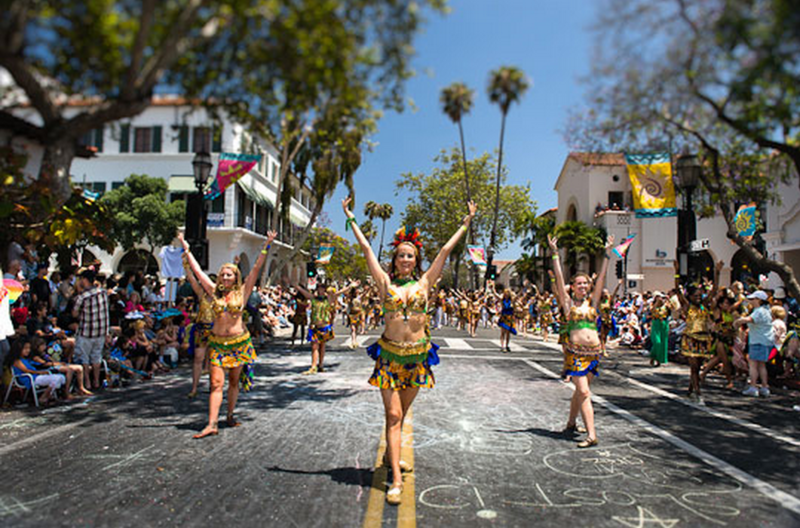 The main thoroughfare in Santa Barbara is State Street and is the dividing point between the two sides of town. Residential options range from craftsman cottages, brand new Spanish styled luxury town homes, as well as penthouses boasting views of the mountains and the ocean. With close access to restaurants, shopping, beaches, theatres, museums and a rich nightlife; living downtown provides wonderful opportunities for the many young professionals and second home owners who enjoy the close proximity to everything that Santa Barbara has to offer. This thriving community is located approximately 6 miles West of Santa Barbara. Once considered a suburb of Santa Barbara, Goleta is now an incorporated city of its own. Goleta is also known as ‘The Good Land’ and was once an area completely covered in agricultural land. 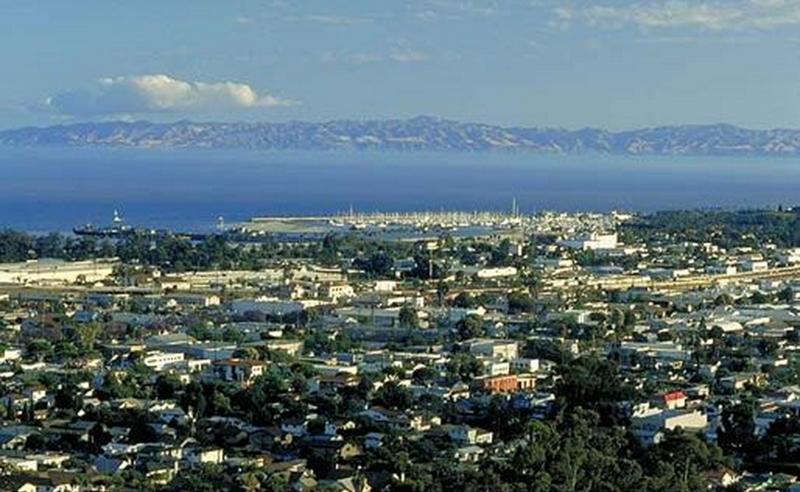 Goleta is the home of many businesses as well as an assortment of great schools including UCSB. Many young families and college co-eds coexist and live in the many single family homes, tract developments, condominiums as well as mobile home parks that stretch up to the Gaviota Coast. 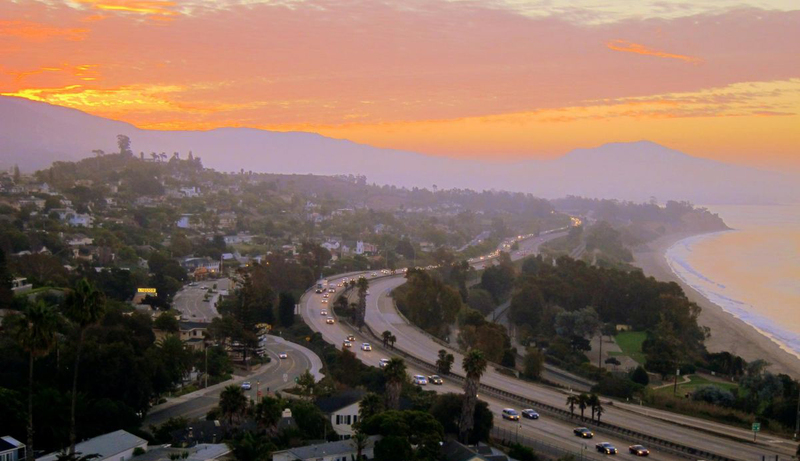 The 101 freeway is the line separating Goleta North from Goleta South neighborhoods. The Riviera, one of the oldest neighborhoods in Santa Barbara, is an enchanting area that boasts views of the city, the Pacific Ocean as well as the Channel Islands. This neighborhood is full of winding streets, unique houses, gorgeous stonewalls and a semi-tropical appearance. The road, Alameda Padre Serra (known as APS to locals) is the separating point between the “upper” and “lower” rivieras. Spanish and Mediterranean architecture predominates the style of the area. Santa Barbarans who call the Riviera home enjoy the unique east-west coastline, the only one from Alaska to Cape Horn that provides occasion to view both sunrises and sunsets across the ocean everyday. The neighborhood closer to downtown at the base of the Riviera hills is referred to as the Lower Riviera. The Upper East Side boasts elegant large homes most of which have colorful gardens and perfectly manicured lawns. Many of the homes in this area date back to the turn of the century and the lot sizes are larger than in many other parts of the city. The historic Mission was founded in 1786 along the Royal Highway (El Camino Royal) and should not be missed. Next to the “Queen of the Missions” is a magnificent public rose garden that is a perfect place for an afternoon picnic followed by a nap in the sun. The gently sloped streets of the Upper East Side allow for enjoyable strolls around town, whether to view the Mission, gaze at the historic houses or meander downtown for dinner and a movie. There is also a neighborhood referred to as the Eastside which is located on the East side of State Street leading up to the Lower Riviera area. San Roque is recognized for its families who flock to the mountain-view homes that line the winding streets of this kid-friendly suburb who benefit by nearby quality elementary schools. San Roque’s style blends many architectural themes, homes mostly built since 1925 contributing charm and distinctiveness to the area. Bounded by Ontare Road, Foothill Road, Alamar Avenue and State Street this neighborhood is centrally located making shopping, dining and banking only a short walk away. Samarkand, the name originally meaning, “the land of heart’s desire” in the archaic Persian Tongue is also inhabited with young families. Due to its small size, almost the entire neighborhood sits on one gently rolling hill, which allows for stunning mountain and Riviera views. The lots in Samarkand are larger than those of San Roque and the architectural style is also mixed. Las Positas Road to the West, State Street to the North, the 101 Freeway to the South and Alamar Avenue/Oak Park to the East border Samarkand and make it a very convenient place to call home. Mission Canyon, one of the most historically rich neighborhoods in Santa Barbara is filled with relics that pass on stories from Chumash Indian times to the Old Spanish Days and of the first American settlers. Mature sycamore and oak trees surround the roads, trails and streams and perpetually blooming flowers decorate the valleys. The hills above Mission Canyon are fabulous for hiking with turn around spots that boast endless views of the city and Channel Islands beyond. Carpinteria is located in the southeast corner of Santa Barbara County and is a little piece of coastal paradise tucked midway between Ventura and Santa Barbara. The main street is lined with antique shops, cafes, art galleries and surf shops and ends right at the beach where the Carpinteria Triathlon takes place each year. Carpinteria is home to a world-renowned surfing area off Rincon Point, an area that not only has great waves but also possesses premier beachfront estates. Nestled in the foothills are many nurseries; some open to the public as well as many sprawling ranch properties. Carpinteria is known for its laid-back surfer vibe, great waves, safe beaches and quality of life. Mostly families reside in this coastal enclave of antique shops, pristine beaches and incredible nurseries. 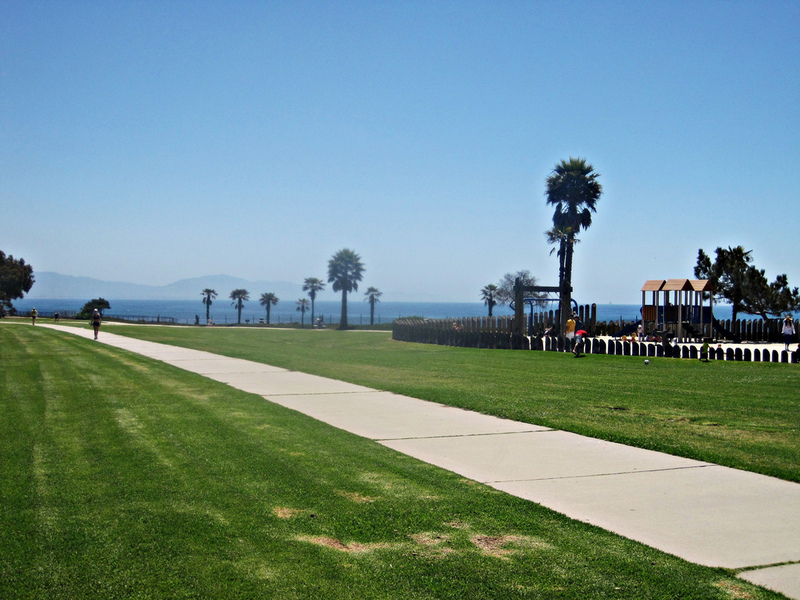 Summerland is a quaint beachside community that is located between Montecito and Carpinteria. This part of town is famous for its antique shops, ocean views and steep streets which is shy all residents have P.O. Boxes rather than have mail delivered to their houses which makes for a small town community feel. Many of Summerland’s properties are on small lots that look out to endless ocean views. Many of the locals are artistic, writers, antique collectors and second home owners who delight in their close access to both beach walks as well as hikes in the foothills. Montecito is located 4 miles from downtown and occupies approximately eight square miles of lush land and remarkable architecture. Once a fashionable health resort, Montecito now boasts world-class hotels, restaurants and shopping, all reasons that the area has remained a destination for the rich and famous for over 100 years. Montecito extends from the sandy beaches along the Pacific Coast to the foothills of the Santa Ynez Mountains. Many of the estates that are hidden behind tall hedges and up long winding driveways give the area an aura of mystery, privacy and prominence. Whether surfing, hiking, shopping, looking at beautiful houses, or enjoying the unhurried pace of life, Montecito is a treat to behold and residents, many of which are off-the -radar celebs, Los Angeles transplants, affluent retirees, are fortunate indeed to live in such a wonderful part of Santa Barbara. Hope Ranch, a suburb of Santa Barbara is located between Goleta and the Mesa is recognized for its quiet neighborhoods, humble ranch land and open bluffs that make up the family-friendly environs. Towering palm trees line the main drive, Las Palmas Avenue and over 30 miles of bridle paths wind through the area past distinctive properties. Residents of Hope Ranch, which was incorporated in 1924, enjoy many amenities that come along with their address. Membership at La Cumbre Country Club is one perk as well as access to Santa Barbara’s only private beach. Hope Ranch has almost three miles of Pacific coastline and relatively few roads winding through the area, which creates a peaceful part of town that is a delight to visit, and a privilege to call home. The nearby neighborhood is referred to as the Hope Ranch Annex. The serene Santa Ynez Valley is located in northern Santa Barbara County, found by either a coastal trip on highway 101 through the historic Gaviota, or San Marcos Pass, each providing views of Cachuma Lake, on scenic Highway 154. An area of beauty and tranquility with rolling hills and populated with ancient oaks, the valley now houses a myriad of sprawling horse and cattle ranches, alpaca farms, numerous vineyards and wineries, and other outdoor activities. Sunshine is abundant, and the area enjoys mild winters and cool summers. To many, the valley is a marriage of excellence and congeniality.